Welcome to the offices of Susan Wynne, MD. Dr. Wynne is Board Certified in Child, Adolescent and Adult Psychiatry. Dr. Wynne provides outpatient psychiatric evaluation and treatment of children, adolescents and adults. 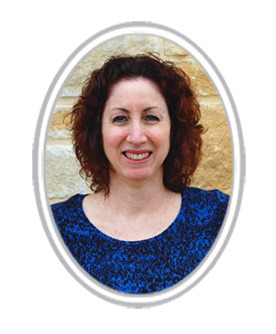 Dr. Wynne maintains offices in San Antonio, Kerrville and Fredericksburg. Office hours are by appointment. Dr. Wynne received her medical degree from The University of Miami School of Medicine in Florida. She completed residencies in Adult Psychiatry and in Child and Adolescent Psychiatry at Tufts/New England Medical Center in Boston, Massachusetts. Prior to starting her private practice in 1999, she was on the faculty at Wilford Hall USAF Medical Center in San Antonio and at the University of Texas Health Science Center at San Antonio. Dr. Wynne is an Associate Adjunct Professor of Psychiatry at the University of Texas Health Science Center at San Antonio. She has held several officer positions with the Bexar County Psychiatric Society: President 2011-2012, Past President 2012-2013, President-Elect 2010-2011 and Vice President 2015-2016 and 2009-2010. Dr. Wynne was named a Castle Connolly Top Doctor and a US News and World Report Top Doctor. Additionally, she was named a Texas Super Doctor by Texas Monthly in 2007 and 2006. We require confirmation from you by telephone one (1) to two (2) business days prior to your scheduled appointment. If we do not receive confirmation from you one (1) to two (2) business days prior to your scheduled appointment, we may not be able to hold an appointment time for you. For example, for an appointment scheduled on Monday, we require telephone confirmation of your appointment before close of business on Friday. As a courtesy, we will call you at least one (1) business day prior to a scheduled appointment. Please provide us with phone numbers that you regularly answer during the business day. You may also call us one (1) to two (2) business days prior to your scheduled appointment, to confirm your appointment. For paperwork required for the initial appointment, click here. We suggest that you fill out separate Release of Healthcare Information forms for your primary care physician and for your psychotherapist. If you do not have the paperwork completed for the initial appointment prior to your initial appointment, please arrive 20 minutes earlier than your scheduled appointment, in order to obtain and complete this paperwork.